I'm about to sell my parents' house and move into a new place in a few weeks. Right now I'm in the process of planning the interior design of my new home. I've never done this type of thing before, and I have had so much fun doing it. 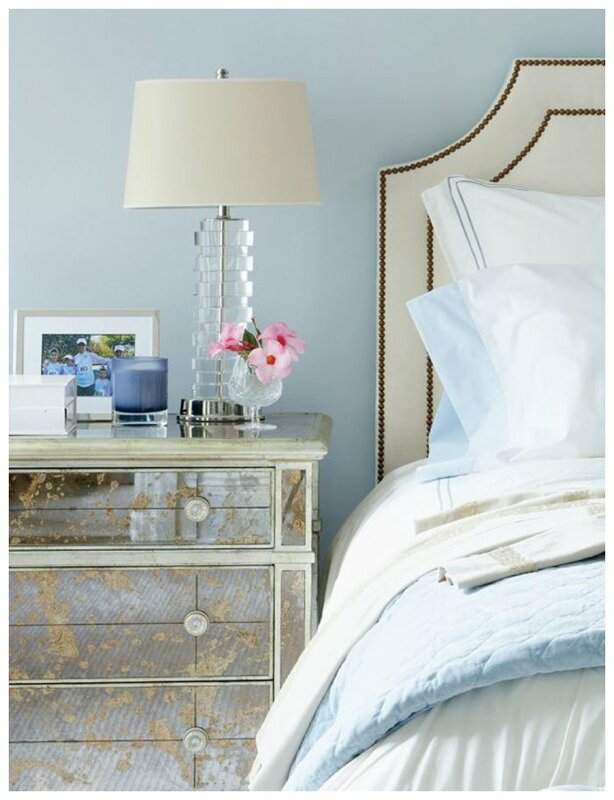 The other day, I truly spent 2.5 hours just looking at table lamps. Over the past 10-12 years, I've kept a black three ring binder, filled with pages I've ripped out of magazines. 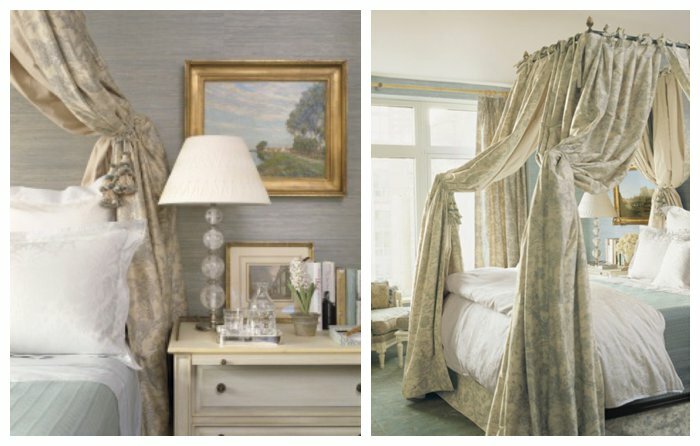 The pages include things like moving passages in magazine articles, profiles on inspiring women, stories about historic hotels and lists of essential wardrobe items. I also have been keeping pages from magazines for my "dream" interior design. Needless to say, I'm over the moon to finally be able to use all these "dream" interior design magazine-page-rip-outs. 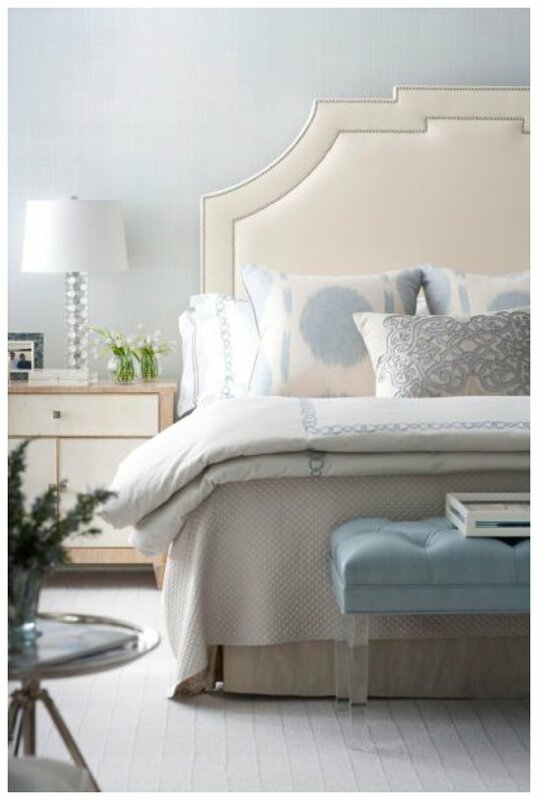 My dream bedroom always has been in light blues and creams and neutrals. I love traditional shapes and ideas, but with a modern twist. 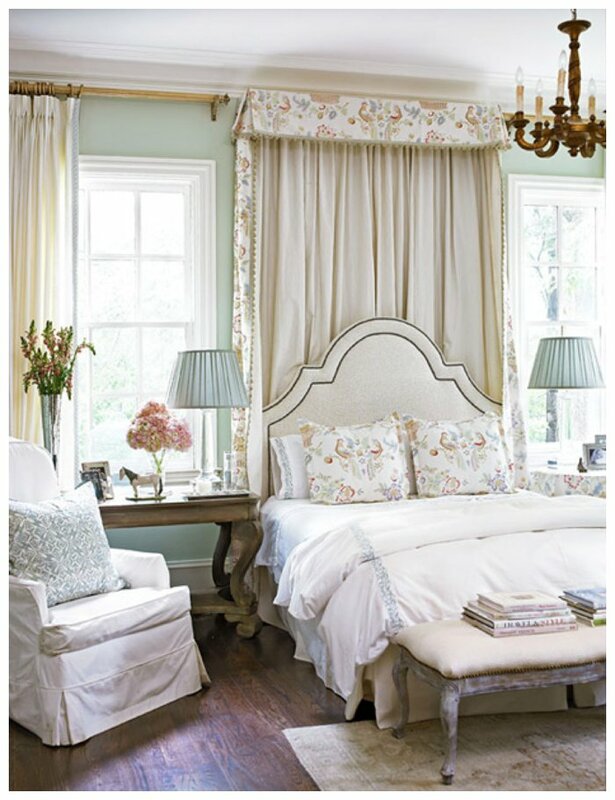 The pictures on today's blog post are some of my inspiration for the bedroom. I can't wait to see how it all comes together! Umm, this girl can't wait to see how it all comes together either! So excited to see and consult if need be. "Yay, project!"